Juniors, Seniors: ACT Test Dates Approaching Quickly! Completing college applications can be a fairly difficult process for our seniors, whether it involves the actual application process or passing entrance exams. Also, juniors should be preparing for college since they will be seniors in less five months. Mr. Antonio Garcia, also known simply as “Tony” by most seniors, is one of Pueblo’s career counselors and is promoting ACT workshops for the remainder of the semester. 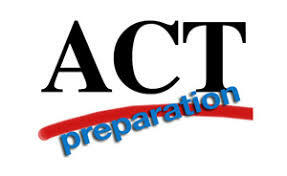 Seniors will be able to retake the ACT on April 14; most colleges accept students with a score of 20 and higher. If seniors scored lower than this, they are very encouraged to retake the test next month. Juniors can take the test for the first time on April 3. Both seniors and juniors are encouraged to enroll in an ACT Prep Workshop here at Pueblo on March 14 and March 28 from 2:15 p.m. to 4:15 p.m. in the College and Career Center. Junior Candy Rodriguez is one of hundreds in her Class of ’19 who will be taking the ACT test on April 3rd.